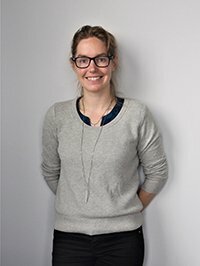 A recent graduate from the University of Waterloo for her Undergraduate and Masters Degree, Danika is passionate about sustainability in architecture, while respecting and enriching the unique context of each project she takes on. She also has a fascination with Master Planning and creating systems in which architecture plays a key role. Danika has explored many different facets of architecture, both across Canada and internationally. She has worked in Innsbruck, Austria entering various competitions around Europe and in Melbourne, Australia, renovating heritage listed homes as well as participating in various overseas competitions. In Canada, Danika has worked in Ottawa at Public Works and Government Services Canada she worked on projects that maintained the parliamentary heritage portfolio. She has also worked in St. John’s designing and constructing various schools and community centers across Newfoundland and Labrador. Her most recent experience was in Toronto where she worked on various health care and educational facilities. Born and raised in South-Western Ontario, Danika has recently moved across Canada to British Columbia to finally settle down. She is looking forward to calling the mountains home and spending a lot of time exploring the amazing landscapes that British Columbia has to offer.